Within the framework of the international specialized b2b exhibition for halal, healthy food and eco-friendly goods HALFOOD® (Moscow), a program of contests will be held aimed at identifying the best products in over 20 sectors. The event will take place on April 25-26 at the Crocus Expo IEC. This time, the exhibition will unite two key salons – a salon of halal and healthy food Halfood® and a salon of eco-friendly goods and services Ecogoods®. The key competition of the Exhibition is “Best halal product” Contest. The contest is held among halal food producers and will includes 14 nominations, including: canned meat, baby food, poultry (chicken, turkey), sausages, seafood, drinks, tea, confectionery, dairy products, sauces and ketchup, dumplings. Evaluation of products for tasting qualities will be done by a competitive commission consisting of famous Moscow restaurateurs and experts in retail. 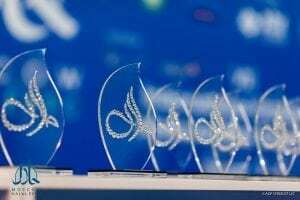 Separate nominations of the contest where consumers will vote, will be “Packaging” and “Novelty of the Year”. For the first time within the framework of the Ecogoods® salon, the contest “Eco-product of the Year” will be held. The contest is announced in eight nominations, mainly in the field of cosmetics and perfumery: face cream, shampoo, line of cosmetics for children, natural soap, organic oils, eye care. Also among nominations are “textile products” and “cosmetic novelty of the year”. Expert committee of the contest will be attended by technology experts, experts in the field of eco and organic standardization. Traditionally, the exhibition also defines the best company in the field of doing halal business – Halal Company of the Year. The competition program is held among the exhibitors of Halfood & Ecogoods. Last year, the competition was held in a limited number of nominations, voting was conducted exclusively among consumers. The winners were the company Avers Plus LLC (Alokozay Tea, the nomination “A Choice for Tea”), the “Spice Torg” company (spices brand Allori, the nomination “That’s what I needed”), Resource-Yug LLC (brand an-Noor, nomination “Meat novelty”). The Winner of the Contest has the right to use the brand name of the contest on the package of the product and in the advertising campaign.